It’s often said that “children don’t come with an instruction guide”. But what they do come with is their own unique needs and nuances. For a variety of reasons, some of those nuances include severe allergies. Just the other day I was making lunch for my son to take to school. I asked if he wanted peanut butter and jelly. He replied, “no nuts at school Mommy”. At 6 years old, he remembered an important fact that his teacher pointed out to him. Some kids are allergic to nuts and it can have serious (and sometimes fatal) consequences. It’s not an ease feat for kids living with allergies. The average yummy peanut butter and apple snack can be harmful to a child and people passing by them would never know. Giving an innocent snack to a neighbor’s child can backfire if you don’t know they have allergies. And that’s where a new line of children shirts come into play. Inform… in style with Love, Linda! These shirts say a mouthful. 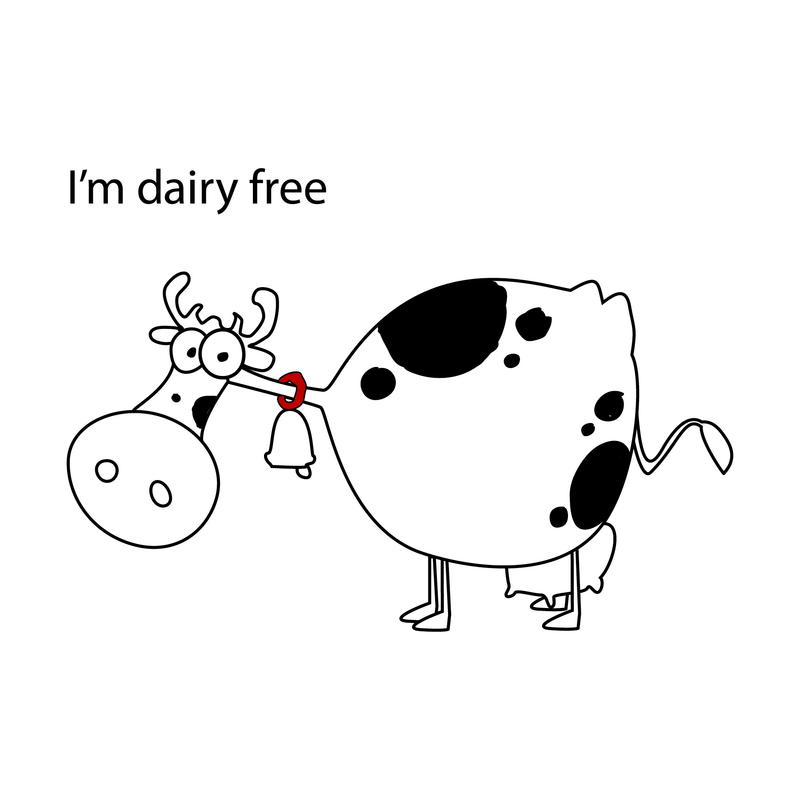 No dairy for me please — and no nuts allowed! 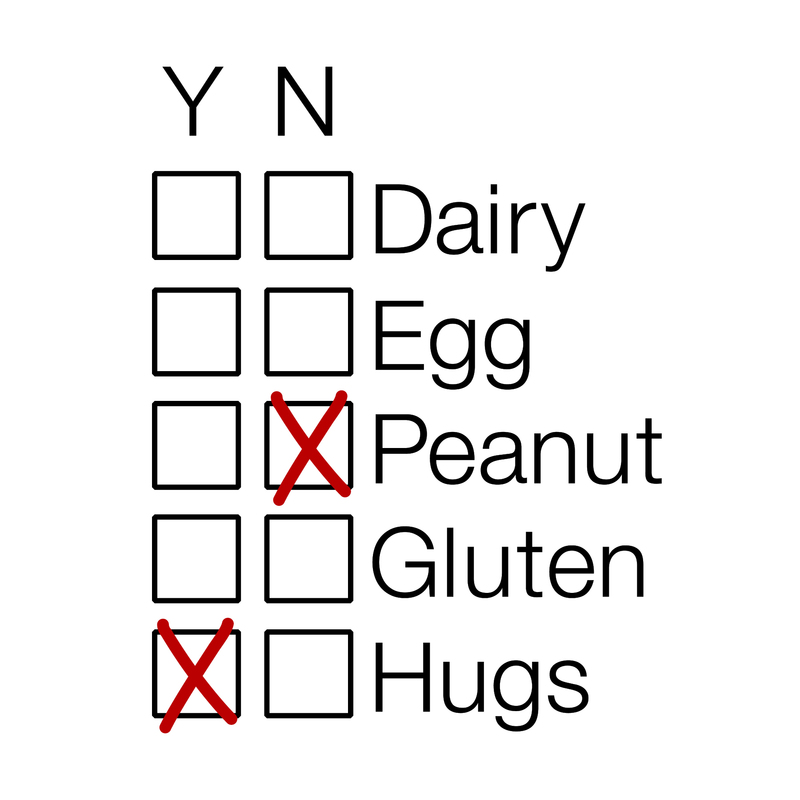 So there’s no need to be embarrassed and you can help alert others of your child’s allergies…. and look cute while doing it. A total win win!